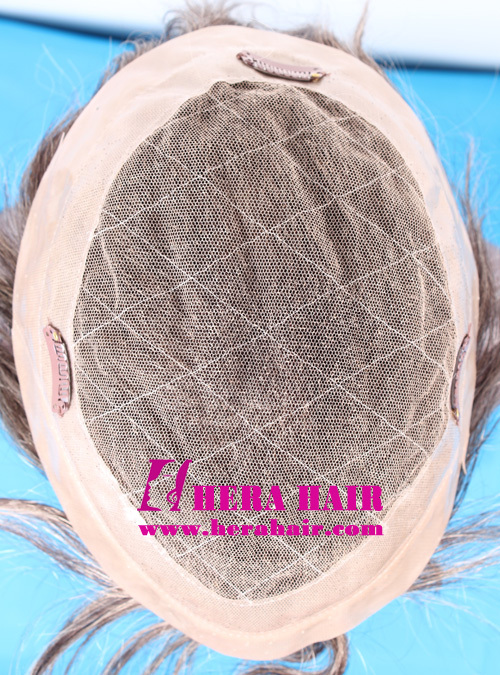 This hair replacement is Hera 7.75x10 4 inches #1B Indian hair mixed 25% gray hair men's toupees. 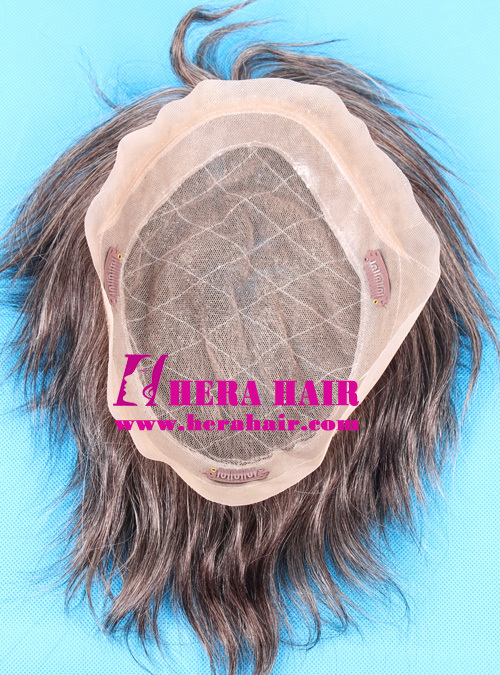 Hera is the best men's toupees manufactuer and supplier in China. We can do any regular size toupees for you from 5*7 to 8*10 etc. and we can custom toupees according to your special size. About the toupee's cap, this toupee is swiss lace + 1 inch PU and add 3/16 inch lace on front base on HHT10 cap design. We also can do mono cap toupee, full PU toupee, Mono+PU, Mono+lace etc. different toupee cap. And we could sew clips according to your requirement. 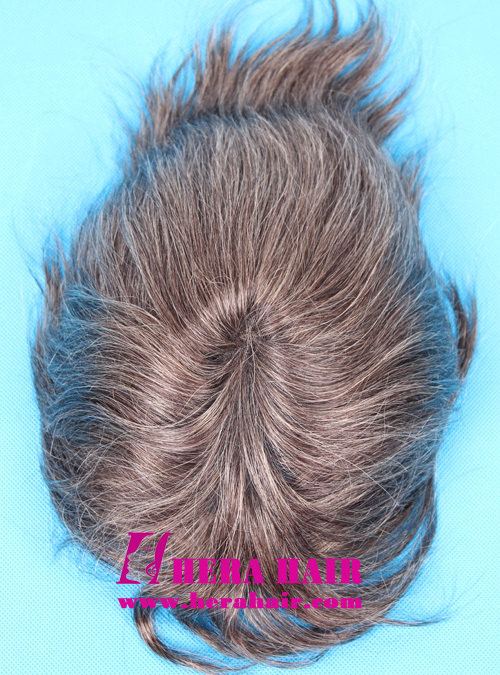 Wholesale men's toupees from Hera only from 20pcs; You can mix the different hair length, different cap size and different cap design toupees. We also could do any special design cap toupee for you. We also welcome personal customer buy men's toupees from us. Because we have not stock toupees, so we custom the toupees according to your special requirements: any hair materials, any cap size, any hair density etc. Personal buyer, you can send your order details and address details to us by email then we can offer you. The men's toupees production will take about 20-30 days, so you'd better place your order in advance according to your schedule.